Ever wondered what a writer has in common with a grave-digger? Margaret Atwood has. The author of more than 40 works including fiction, poetry and critical essays (including one particular book she finished earlier this year that no one can read for 100 years, thank you very much), Atwood stands out as a unique voice in today’s ocean of contemporary literature. I didn’t read Margaret Atwood until I was well into my 20s (that's last month, if you're counting). How could I have waited so long? What was I thinking? The minute I cracked a spine, I knew I'd been seriously missing out. But then again, maybe this was the right time to read her, when I feel I have had my fair share of experience — both of other books and of life. You know how they say timing is everything? I have a feeling that applies to reading, too. I started with Cat’s Eye, a novel about memory, childhood, and the power plays between little girls. I was stunned by her writing, and not just by her fine-tuned word choice and seamless sentences. I was blown away by the precision of her insights. Her books shine a light on our deepest emotions, and this is the kind of sharp intuition that makes her writing luminous. Most of the quotes listed below are from Negotiating with the Dead: A Writer on Writing. 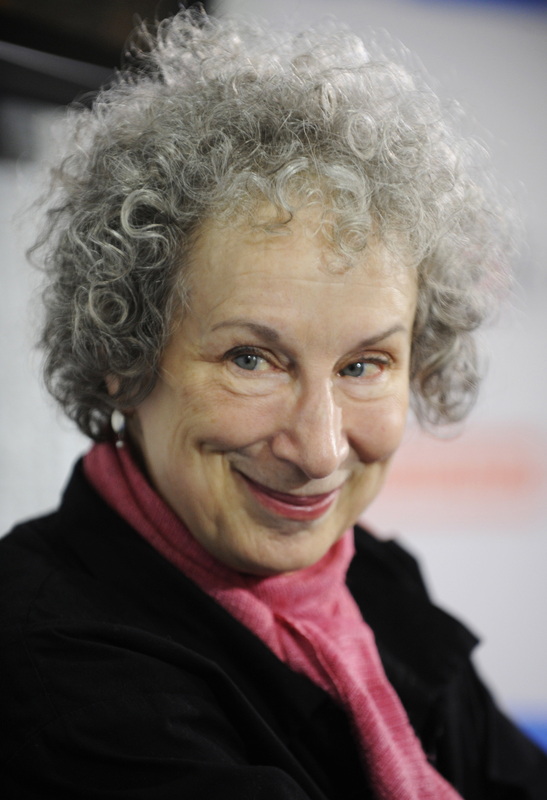 The book began as a series of lectures at the University of Cambridge that have here been reworked into chapters in which Atwood explores the role of the writer. Aspiring writers of the world: this is one writer you must listen to. On The Difference Between "Writing" And "Being A Writer"
“There were no films or theatres in the North, and the radio didn’t work very well. But there were always books. I learned to read early, was an avid reader and read everything I could get my hands on — no one ever told me I couldn’t read a book. My mother liked quietness in children, and a child who is reading is very quiet. "I think the main thing is: Just do it. Plunge in! Being Canadian, I go swimming in icy cold lakes, and there is always that dithering moment. 'Am I really going to do this? Won’t it hurt?' And at some point you just have to flop in there and scream. Once you’re in, keep going. You may have to crumple and toss, but we all do that. Courage! I think that is what’s most required."